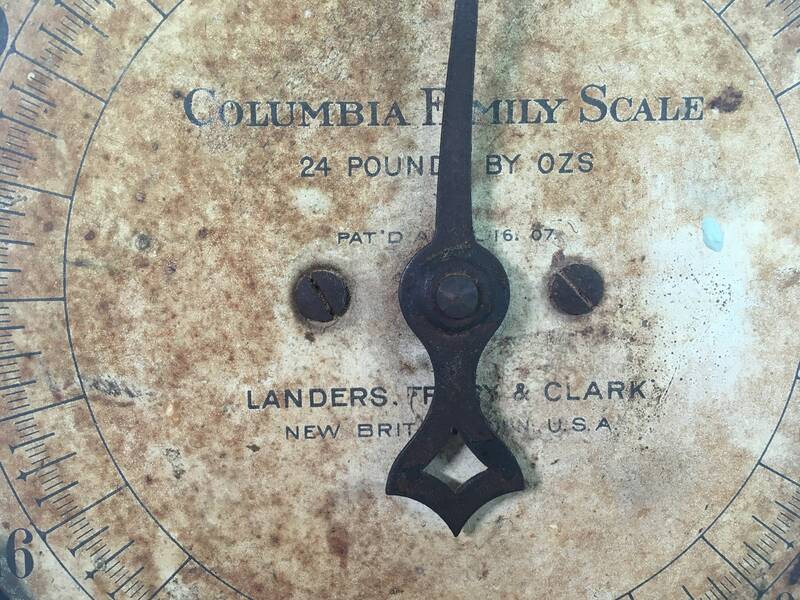 Great antique Columbia Family Scale by Landers, Frary & Clark of New Britain, Connecticut, USA. 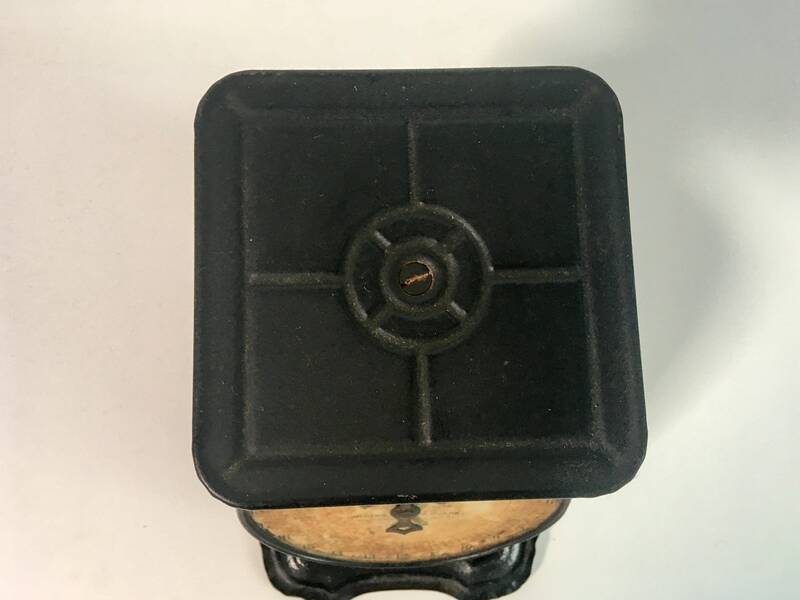 The scale has a black matte base/background and at one time, a white face where the pounds and ounces of an item could be read. The face is now quite rustic and discolored from age and wear giving it lots of character and making it a great shabby chic home decor item. 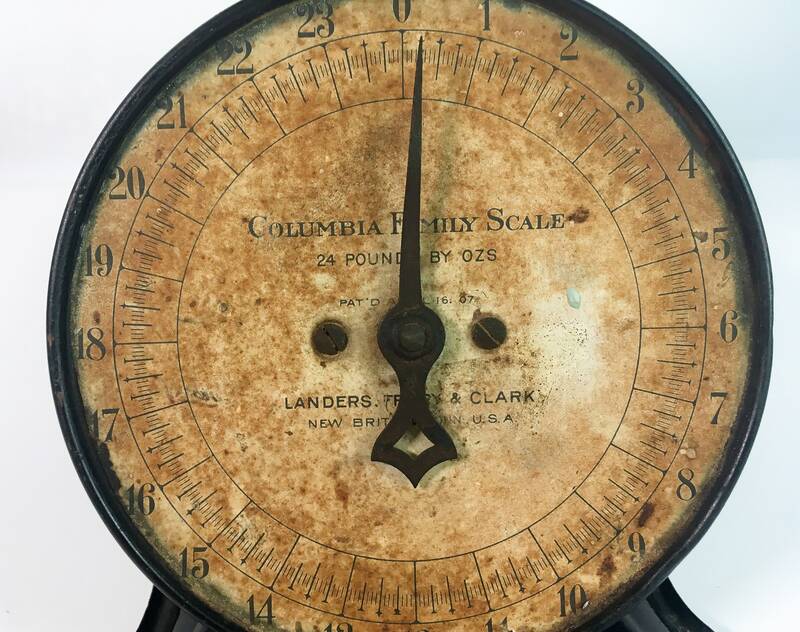 The scale measures up to 24 pounds and has marks to indicate the ounces as well. 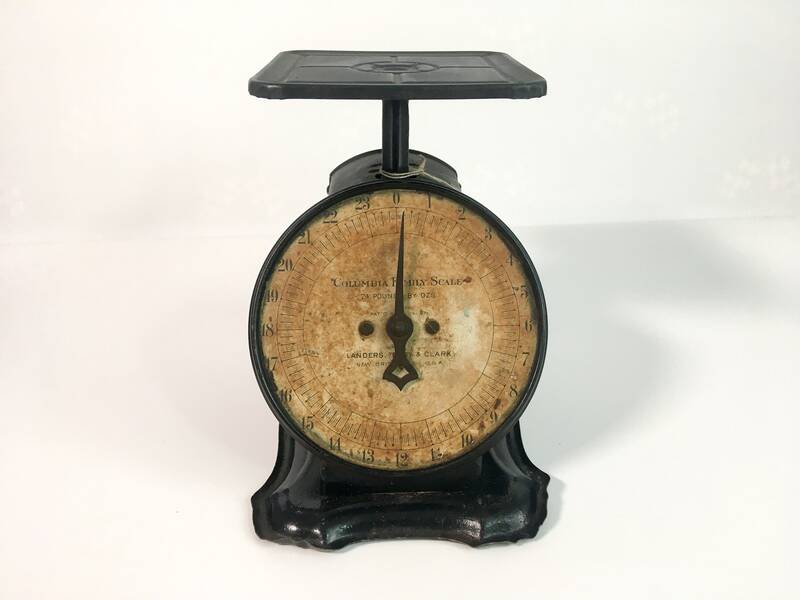 The black parts of the antique scale are in nice antique condition with very little rust despite this being more than 110 years old. 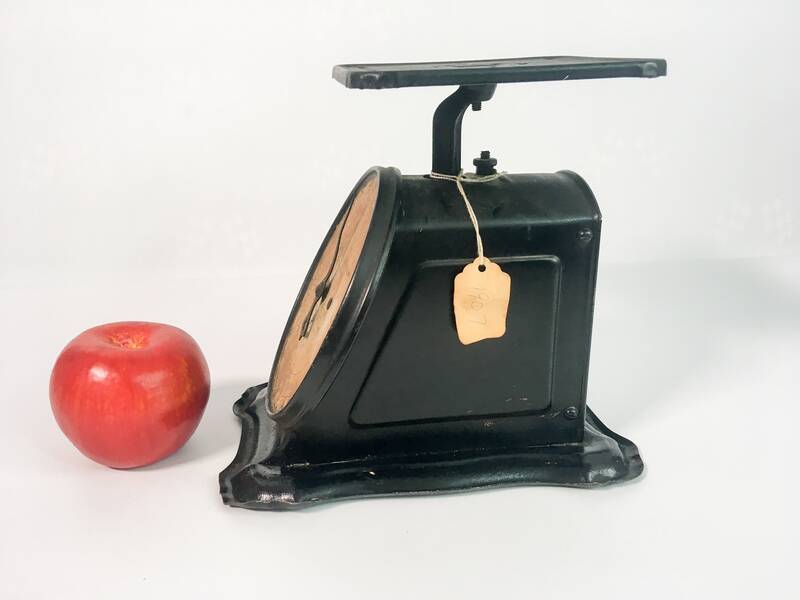 This turn-of-the-century scale has a patent date of April 16, 1907 on the front. 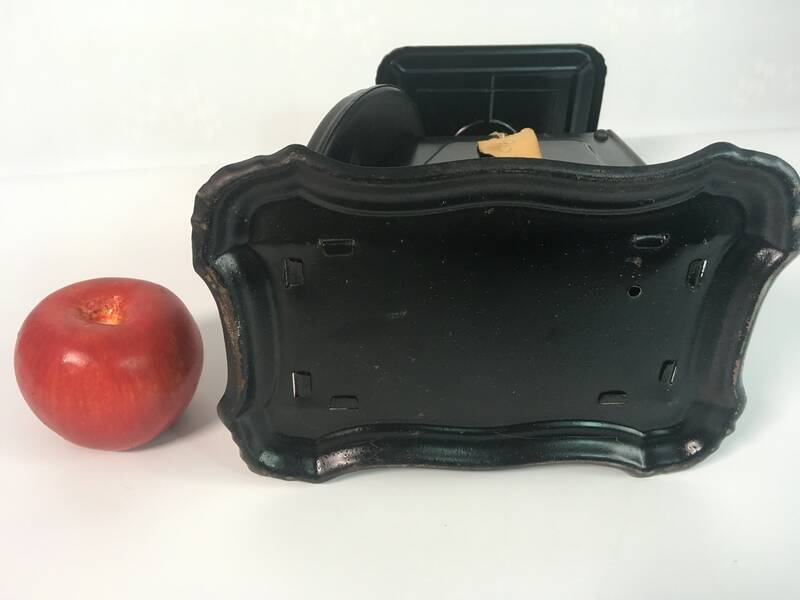 The face also has the company name and says Columbia Family Scale. All of the text is still legible despite the yellowing of the front face of the scale. 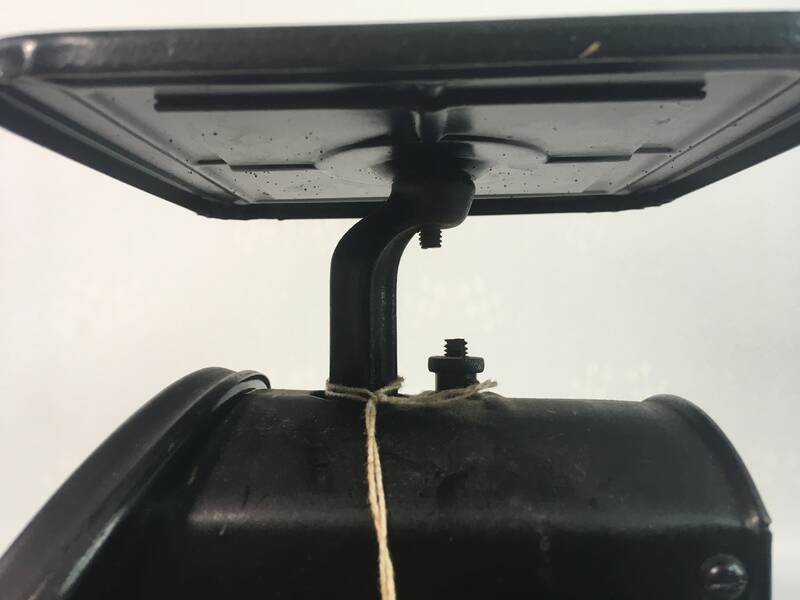 There is an old paper tag from a former owner that is hanging from the scale that says 1907 on it - the year the scale was made. Measures approx. 7 3/4" high. 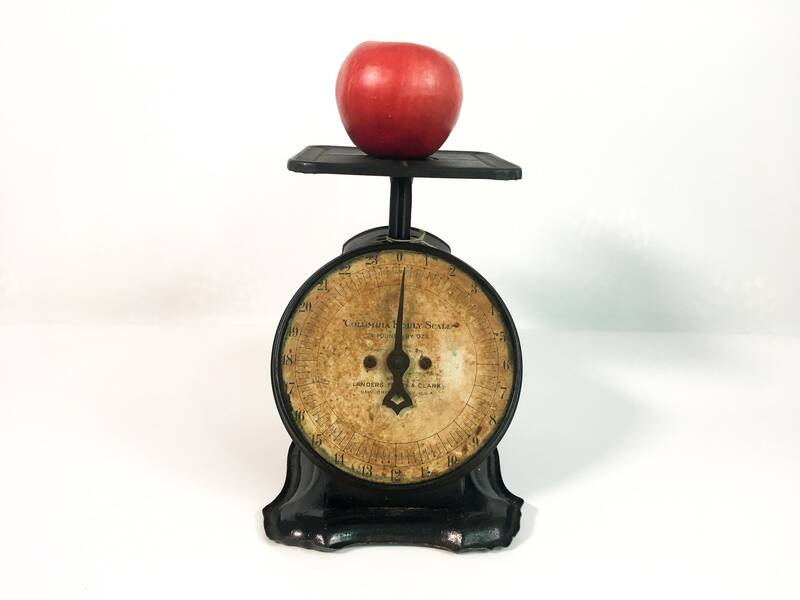 The round scale face is 6" in diameter. The scale is 8 1/2" deep. In nice antique condition with wear and discoloration of white scale front that is commensurate with antique age and usage. 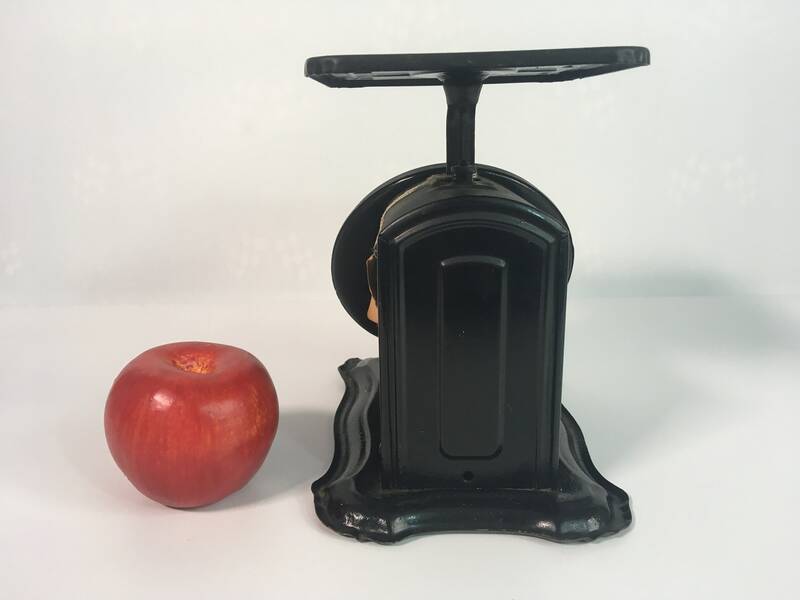 The scale weighs 3 lbs. 4 oz. before packaging for shipment. 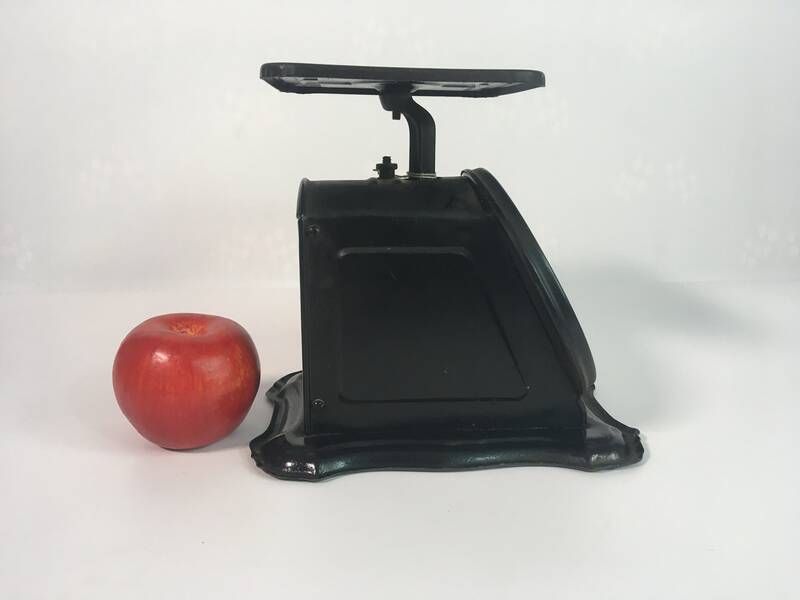 Great and unique kitchen or home decor item.